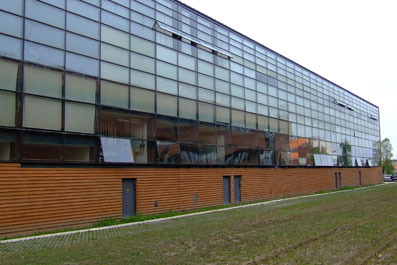 The Laboratory for Automation and Robotics (LAR) is located in the Department of Mechanical Engineering at the University of Aveiro. The LAR was created in 1997 and the activities have included research and development in the areas of Robotics and Automation, along with support for graduating and post-graduate students, namely at the levels of Masters, PhD and Post-Doc. The main lines of activity are Autonomous Navigation, Advanced Perception and Humanoid Robotics. LAR is most well known by its successful project ATLAS which includes the ATLASCAR.